The large College Monogram back from Saint Laurent is the perfect choice no matter the season a.. The medium College Monogram back from Saint Laurent is the perfect choice no matter the season as it..
Saint Laurent Large Shopping tote bag is a classy and minimalist bag that can go with any outfit, no.. Combine Saint Laurent's gorgeous Monogramme series with their multi-purpose Cabas design in this box..
You know that a design house is iconic when it's universally recognized by its initials, and YSL – Yves Saint Laurent – may be the best example. The new owners of the company have decided to identify their revived haute couture line as Saint Laurent Paris, but they still use the legendary YSL brand name for accessories like shoes and handbags. That's a very good thing, because the long and storied history of YSL bags – and their timeless beauty – have earned the brand the right to live on forever. Yves Saint Laurent, of course, made his reputation in the 1960s and 70s with cutting-edge clothing designs, including the groundbreaking “Le Smoking” women's tuxedo suit, collections that brought safari jackets and pea coats into high fashion, and his then-shocking use of sheer and see-through fabrics. Saint Laurent eventually began designing accessories as well. While the house's haute couture was best-known for breaking existing fashion rules and celebration of youth, YSL handbags were primarily a symbol of sophistication and elegance. Their designs still took big chances and reaped big rewards; the original version of the Muse, perhaps the brand's most successful purse (and ironically not released until ownership of YSL had been sold to Gucci), featured leather, suede and canvas sewn together into a stunning finished product. Today, you'll usually have to pay well over a thousand dollars to buy a YSL bag in a retail store, and some are priced much higher. A Muse bag in an exotic leather like crocodile, for example, will run you around $20,000. That's more than most people can (or will) spend on a designer bag, and even a thousand dollars or two is a lot to pay for a luxury handbag, even if it's legitimately worth the money. How can you acquire a high-quality YSL purse for a lot less? Read on. The way most people buy YSL handbags is by going to a company-owned or department store, where they charge top dollar and you'll certainly never see a YSL clutch sale underway. 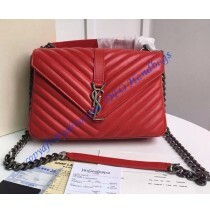 After all, YSL bags are so much in demand that there's no reason for the stores to offer discounts or special deals. That's how people end up spending thousands of dollars for the elegant Saint Laurent bags of their dreams. Others try to find a pre-owned YSL purse in a resale or consignment shop, or at an online site that specializes in luxury consignment goods. Once again, however, there are no bargains to be found. Resellers are still charging almost what they originally paid for their bag, consignment fees add to the overall cost, and you wind up paying nearly as much as you would for a new handbag purchased at an expensive store – possibly ending up with a used bag that has “issues” in the process. 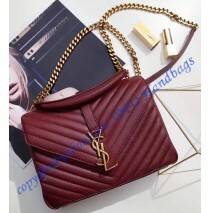 Street vendors often sell what they claim are genuine Yves Saint Laurent bags for 25 or 50 bucks. 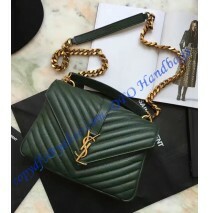 Naturally, they're really offering poorly-made replicas which might fall apart if you sneeze on them; if these replica ysl bags survive long enough to be worn, anyone who sees them immediately will recognize them as fakes. Or, of course, you can give up on your dream of owning a sophisticated YSL bag and just buy an ordinary purse that costs much less. There’s a real alternative, though. 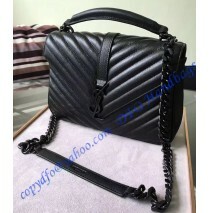 When you buy through a reputable and trustworthy luxury handbag vendor like DFO Handbags, you can acquire the fabulous YSL purse you've always wanted for a fraction of the normal retail price. 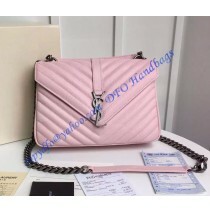 DFO Handbags doesn't operate like any of the sellers mentioned above. We don't sell previously-owned bags, we don't have retail stores, and we don’t have the overhead costs faced by department stores. 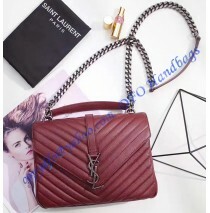 What we do have are designers, craftsmen and quality control specialists with the skills and experience to craft impeccable luxury handbags, which provide all of the benefits of owning a top-quality, highly-sought-after YSL bag – but at extremely reasonable prices. Your handbag is made from the finest materials available with impeccable workmanship and detail. And when you wear your bag in public, you'll be making the definitive statement you seek from a Saint Laurent bag: style, taste and status. There's another important DFO Handbags difference. Unlike most retail outlets or resale stores, we have an enormous inventory. You won't have to settle for a tote when you really wanted a YSL clutch, and you won't have to choose from a limited selection of YSL crossbody bags when your heart was truly set on a calfskin Sac de Jour. We have a huge range of colors and leathers to choose from as well. When you buy YSL bags from DFO Handbags, we're not trying to clear our shelves. We're here to serve you. Oh, right – we forgot to mention the biggest difference. Price. When you shop at a department store or YSL outlet, you'll routinely pay $1000, $2000 or $3000 for any Saint Laurent handbag. Our prices? An average of $300-400. Yes, you read that correctly. We have some YSL bags for less than $300, and every single purse in our inventory is priced under $500. 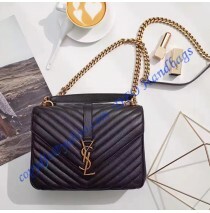 A YSL handbag of impeccable quality, with the sophisticated high-end style that completes your outfit and makes you the star of any show, for hundreds instead of thousands of dollars – that'’s the real DFO Handbags difference. What type of YSL purse can you find at DFO Handbags? Here's a small sampling. One of the most popular IT bags on the planet is the YSL Sac de Jour, and we stock the styles that are in constant demand. Classic Baby and Nano Sacs de Jour in a wide variety of leathers and colors are always available at DFO Handbags, and we even stock hard-to-find bags like the Classic Small Sac de Jour in crocodile embossed leather, at unbelievably low prices. You'll find a terrific selection of Classic Baby Monogram, Medium College Monogram and Monogram Cabas bags, as well as Monogram Chain Wallets, in an enormous assortment of colors and designs. These are perfectly designed and stitched by expert craftsmen, and the beloved YSL Monogram style will make you feel like a celebrity in any crowd. Some of YSL’s most distinctive bags are their Shopping Totes and Backpacks, and we have them all, from Cabas Rive Gauche Totes to Large Shopping Totes, from Small Festival Backpacks to Hunting Backpacks. If you've always wanted it – you're likely to find it at DFO Handbags. We have many more YSL purse styles in stock, ranging from Classic Baby Emmanuelle Crocodile Chain Bucket Bags to gorgeous Cabas bags in rose red leather. Check out our extensive lineup at unheard-of prices, and you'll find it difficult to buy just one. 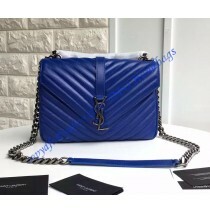 When you consider our rock-bottom prices and high-end, luxury quality, and then add our complete and caring client service – knowledgeable representatives happy to answer any questions before or after purchase, free shipping and repairs for all DFO YSL handbags – and there's simply no other choice when you're shopping for YSL bags. Why not check out our huge selection right now?